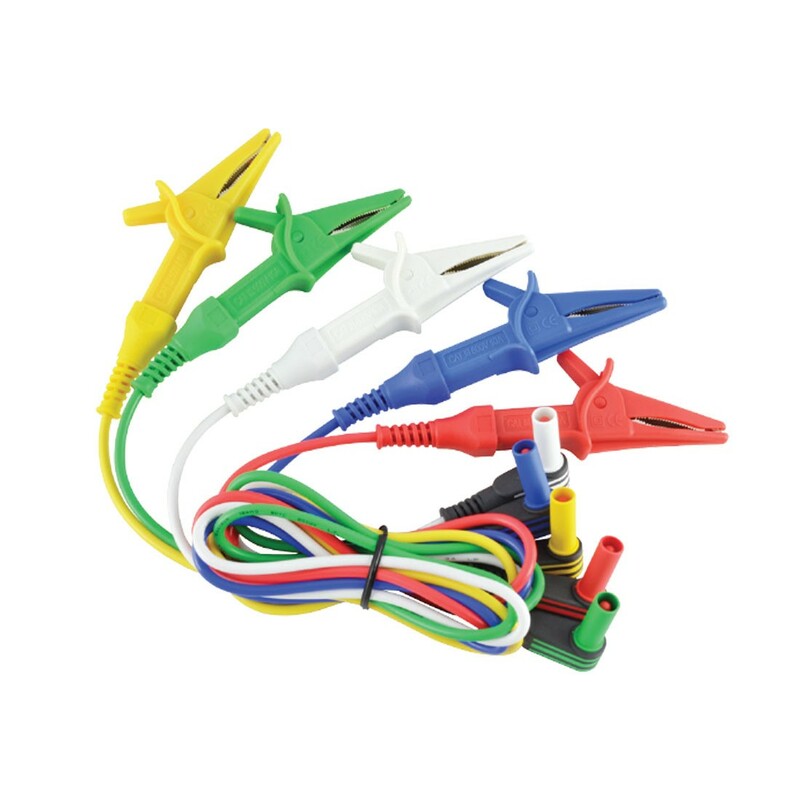 Test leads with a set of large alligator clips. Rated for CAT III 600V 10A. Right angle 4mm banana terminals.